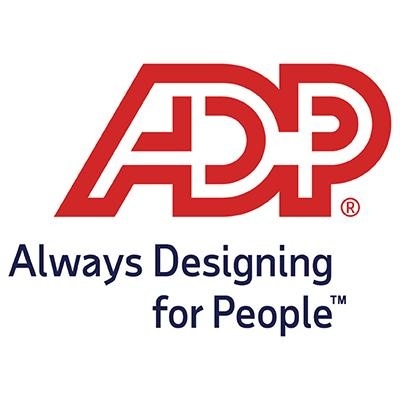 ADP is hiring a Chief Architect with demonstrated expertise in Cloud and Container Architecture. Does this sound like you? Work closely with Product Development and Operations teams to design application cloud architectures that are scalable, highly available, and supportable. Develop and maintain financial models for cloud offerings and continually seek cost optimizations and right sizing opportunities. Work closely with ADP’s Global Security Office (GSO) to proactively maintain secure and compliant cloud environments. Stay current on new and emerging trends in cloud computing and evaluate their potential for within ADP products. Establish and run a cloud / container community to communicate and publish relevant cloud / container architectural artifacts. Work closely with Support and Service teams to identity recurring hosting related issues and champion root cause identification and remediation. Ability to be a team player, works effectively with others with positive cooperation. Ability to communicate, both internally and externally, in an effective, timely professional and courteous manner. Experience in Software Defined Networks (SDN) including the design and automation of Infrastructure as a Service (IaaS) and Platform as a Service (PaaS) capabilities including virtual networks, virtual machines, cloud services, web sites, data services, etc. Experience in the design and development of cloud-native scaled out and distributed applications that leverage microservicearchitecture, REST APIs, relational and NoSQL stores, some level of networking and system expertise, strong tooling, monitoring, and cloud management experience. Experience in the design and implementation of data analytics that leverage Hadoop and predictive analytics systems. Experience in building scaled out infrastructure on public clouds like AWS, Google, Azure, etc. Ability to deliver results in a short time and experience working in fast paced high growth tech companies. Proven ability to pull a diverse group of individuals with different goals together to facilitate, moderate, and influence productive discussions driving towards results. Experience implementing Platform and Infrastructure-as-a-Servicecapabilities. Continuous delivery solutions, preferably employing AWS. Strong scripting in Ruby (preferred), PHP, Perl, or Python. Leadership: not only at the management level, but at the individual level — having the confidence and resilience to take risks — be self empowered. Communication: understand and express ideas / solutions in a comprehensive and practical format — knowledge sharing. User Focus: an absolute focus on the user (internal or external) experience — every aspect of a solution should be productized for ease of use. Improvisation: the ability to think across disciplines and existing boundaries (technologies/business/geographies) – lateral thinking. Collaboration: teamwork with a positive approach to ambiguity. Research: an inclination to continuous research inside and outside the current focus fields. Influence by example: scientific proof of an idea (success or failure) as the presentation tool — represent an idea in order to promote it. Technical Knowledge: broad and deep technical knowledge with a strong focus on data/objects and API/contracts. Abstract Thinking: view of ideas and solutions as abstractions/patterns that can be leveraged/adapted/reused — deliver frameworks instead of point solutions. Passion: A need to be "passionate" about producing exceptional solutions in a collaborative environment (e.g., Agile methodology preferred). Must always be curious and excited to try new technologies.